Today we’re glad to share with you another update on what the EVE Online team is working on in the run up to EVE Online: Ascension. We have a huge number of features coming your way in Ascension including clone states, command bursts, mining foreman gameplay, updated NPE, new procedurally generated NPCs and much more. It’s now time to focus on some of the larger (we’re talking hundreds of kilometers in diameter) features that will be arriving in New Eden this November. This November the Upwell Consortium will be introducing a new set of Standup-brand service modules that will expand comprehensive research and manufacturing support to the entire line of Upwell structures. 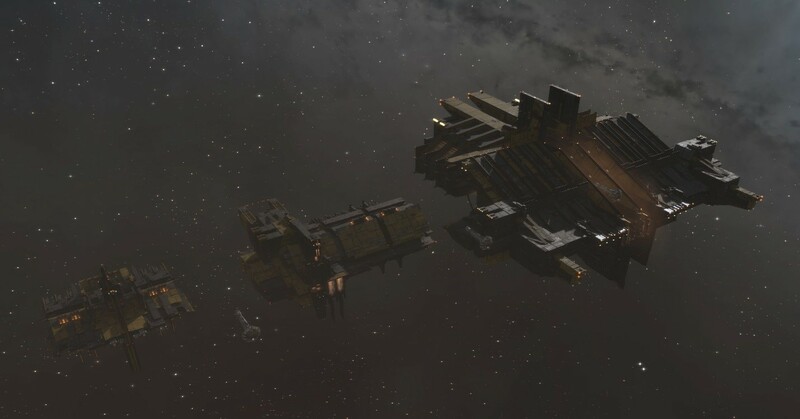 These service modules will be fully compatible with existing Citadel structures, and Upwell will simultaneously be releasing a new set of Engineering Complex structures which are bonused for optimal performance with these service modules. 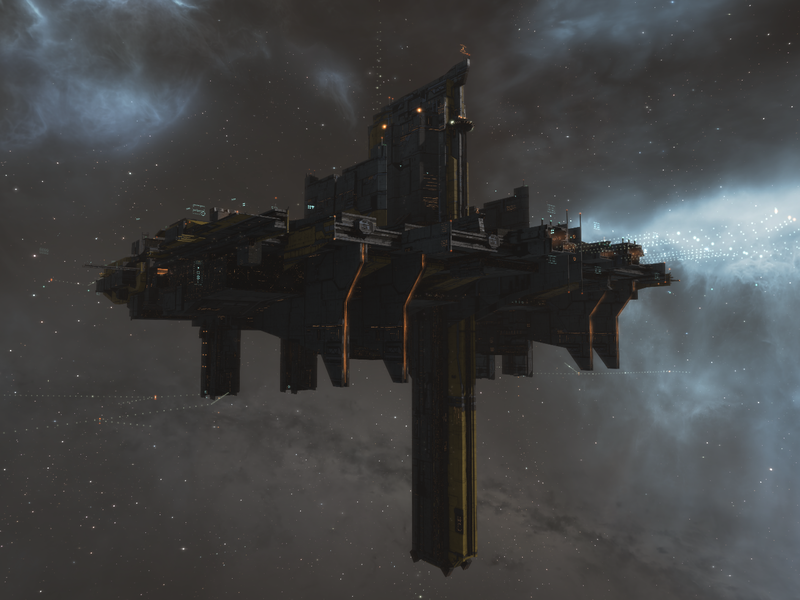 Initially codenamed Industrial Arrays, Upwell’s new line of Engineering Complexes are the second stage in the overhaul of the structures system in EVE Online. Arriving in the same size classes as Citadels (medium, large and extra-large), these new platforms are similar in function to the already familiar (and widely used) citadels. While Citadels focus on peak defensive capability, Engineering Complexes are more specialized towards research and manufacturing. We have full details of current draft of fittings and fuel usage for these service modules at the end of the blog. These new Engineering Service Modules are fully functional out of the box, but to get the best performance from them you will want to combine them with Engineering Rigs for your structures. These new rigs are available for all Upwell structures and provide significant bonuses to specific forms of industrial activity, allowing corporations to customize their structures to meet their specific needs. Like existing Upwell structure rigs, Engineering Rigs provide the same strength of bonuses at each size category. The primary benefit of upgrading to larger rigs (on larger structures) is that larger rigs are more generalized in their bonuses and smaller rigs are more specialized. This allows larger structures to gain bonuses to more types of industrial activity than their smaller brethren. This rig setup provides the maximum ME and Time Efficiency (TE) bonuses to all ship manufacturing, as well as improving cost and duration for all research, copying and invention jobs and enabling maximum reprocessing yield all in the same giant structure. Thanks to the greater generalization of larger rigs, there will be a total of 64 available M-Set Engineering Rigs, 34 L-Set Engineering rigs, and 8 XL-Set rigs to choose from (including both T1 and T2 variations). 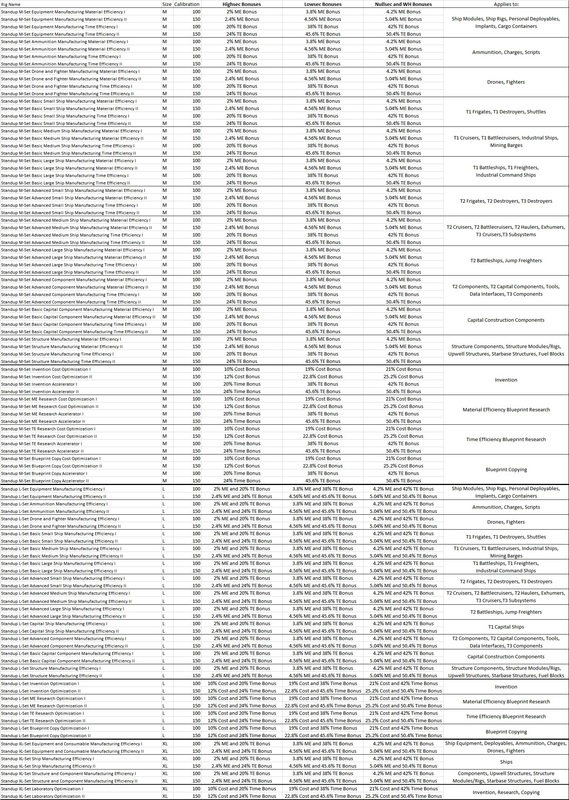 If you’re itching to see all the granular details, we have a chart with the current draft of stats for all of these Engineering Rigs at the end of the blog. Another area of similarity between the new Engineering Rigs and the existing Citadel Rigs is that the bonuses provided by these rigs changes depending on what type of space their structure is anchored within. With the 1% bonus to job material requirements on Engineering Complexes and a T2 rig in nullsec space, the maximum material input bonus available from an Upwell structure after the Ascension expansion will be 5.99%. 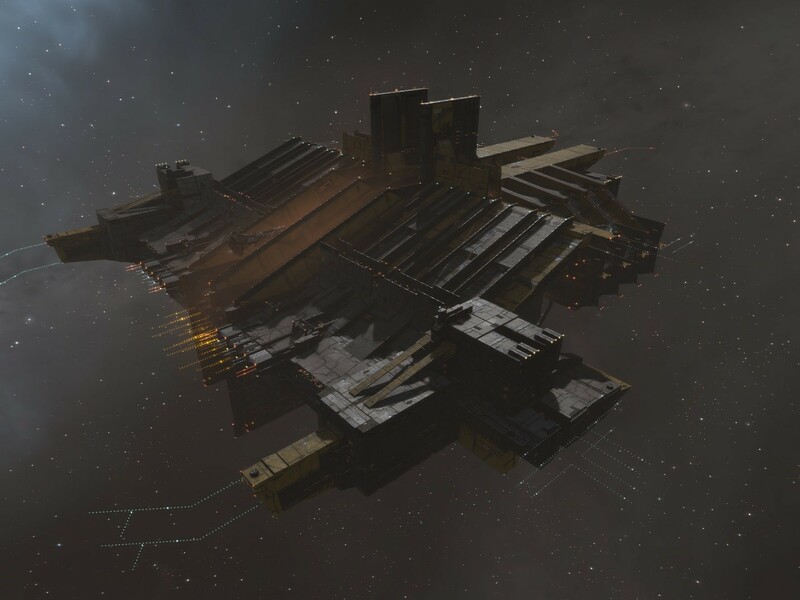 With the 30% job speed bonus on the Sotiyo Engineering Complex and a T2 rig in nullsec space, the maximum job speed bonus available from Upwell structures in Ascension will be 65.28%. And finally the maximum science job cost reduction bonus available from these structures will be 28.94%. 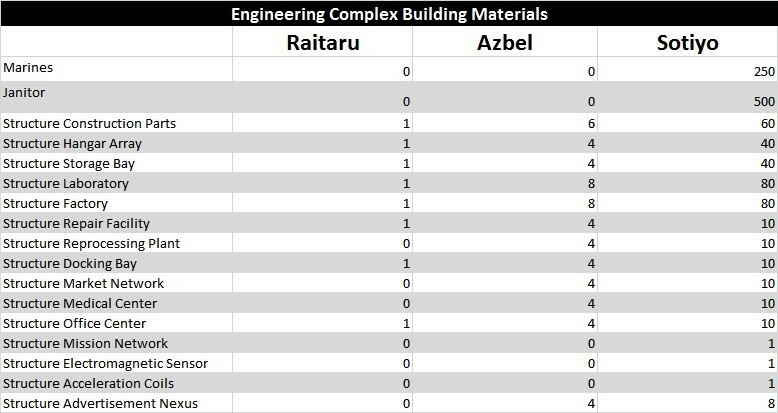 We have a chart with the current draft of stats and material compositions for all 106 Engineering Rigs at the end of the blog for all the granular details. 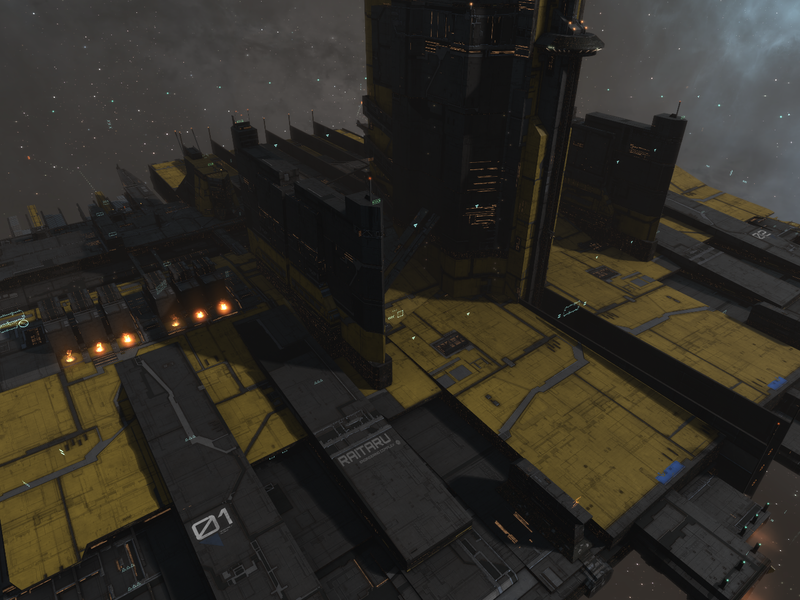 Although these Engineering Service Modules and rigs are perfectly functional when fit to existing Citadel structures, they will really shine when used on the newest line of Upwell structures: The Engineering Complexes. Engineering Complexes have a lot in common with Citadels, and share much of the same core functionality. In a lot of ways, the relationship between Citadels and Engineering Complexes is much like the relationship between different classes of spaceships in New Eden. They share many of the same mechanics but differ in certain aspects like cost, module slots and bonuses. 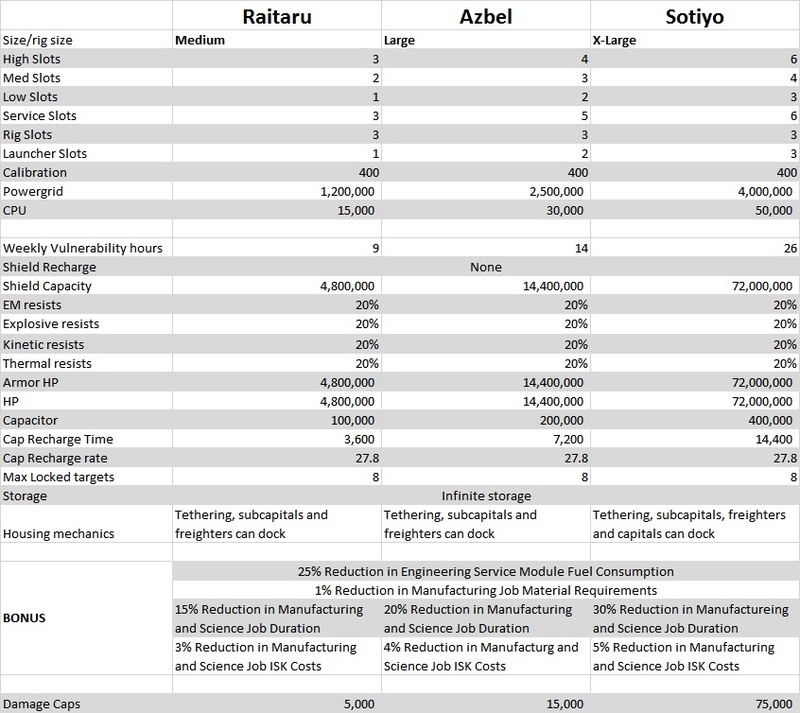 While Citadels gain bonuses to combat rig strength and Citadel service module fuel use, Engineering Complexes gain bonuses to manufacturing/science jobs and engineering service module fuel use instead. Engineering Complexes are significantly less expensive than Citadels. The two larger sizes of Engineering Complexes have more limited docking abilities for their size compared to Citadels. Before we move forward, we have one quick PSA about new structures and System Cost Index multipliers. In the long-term we hope to add a sovereignty upgrade that reduces the industry system cost index, to replace the bonus that currently exists on outposts. However, for the medium-term outposts will be keeping their existing bonuses to system cost index multipliers. This means that there will be some benefits from placing Engineering Complexes in the same solar system as an outpost (especially an Amarr outpost), as well as placing them into highsec systems with large numbers of NPC stations. Engineering Complexes themselves will have no impact on the system cost index multiplier (just like starbases). Now let’s take a look at the three new structures in the Engineering Complex line. All three are named after important inventors and innovators in the history of New Eden. The namesake of former Ishukone weapons researcher Tyma Raitaru, who pioneered the invention of modern day missile, the Raitaru is the smallest of the three Engineering Complexes and is comparable to the Astrahus in size and scale, offering facilities to manufacture anything except for capital and supercapital class hulls. Similar to the Astrahus, the Raitaru will be able to accept all sub capital ships into dock, along with the Orca, Bowhead and freighter class hulls. Anything larger (capital or supercapital) however, will not be able to dock. This medium sized engineering facility provides an inexpensive way for corporations to build their own base of industrial activities. At current market prices this represents a build cost of approximately 700 million ISK (price is subject to capsuleer market fluctuations). We believe that the Raitaru will represent an extremely popular form of structure for all kinds of activities. It will be the cheapest Upwell structure ever released up to this point and can therefore be used as a starter structure for relatively new corporations looking for a home of their own. It also matches the best structures in New Eden for targeted ME and cost bonuses thanks to the structure engineering rigs so a savvy corporation that picks its niche carefully can use these structures to break into many profitable markets. 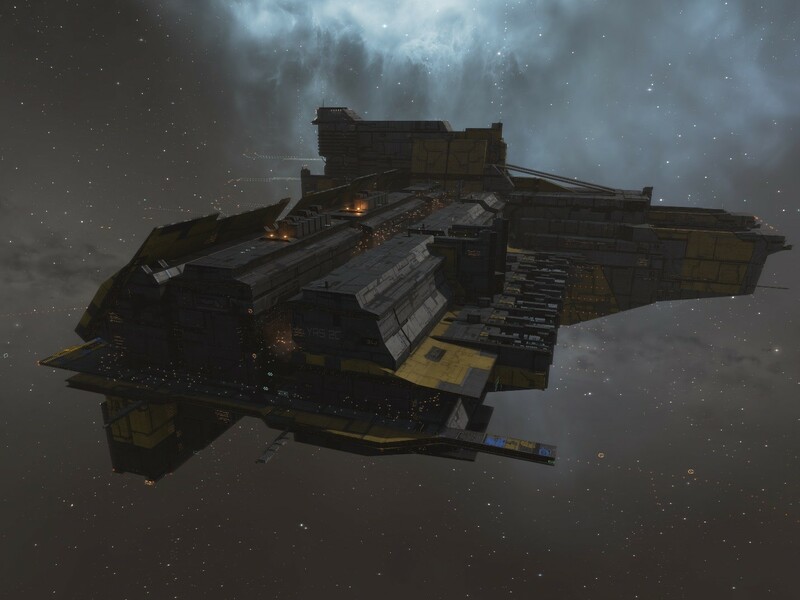 The next step up from the Raitaru, the Azbel class Engineering Complex will perform the same functions as the Raitaru on a much larger scale, and even offers the option of being able to construct capital vessels. Named after Li Azbel, a Gallente scientist who pioneered the first breakthroughs in faster than light communications, this massive structure would make a worthy home for a large industrial corporation or alliance. The Azbel is larger and better defended than the Raitaru, offering more sustainability and flexibility. Typically designed to be used a large scale manufacturing center for research, copying, invention and manufacturing, it gains the generalization benefits of large sized engineering rigs to allow individual structures to provide a greater variety of bonuses. At current market prices this represents a build cost of approximately 5.2 billion ISK (price is subject to capsuleer market fluctuations). 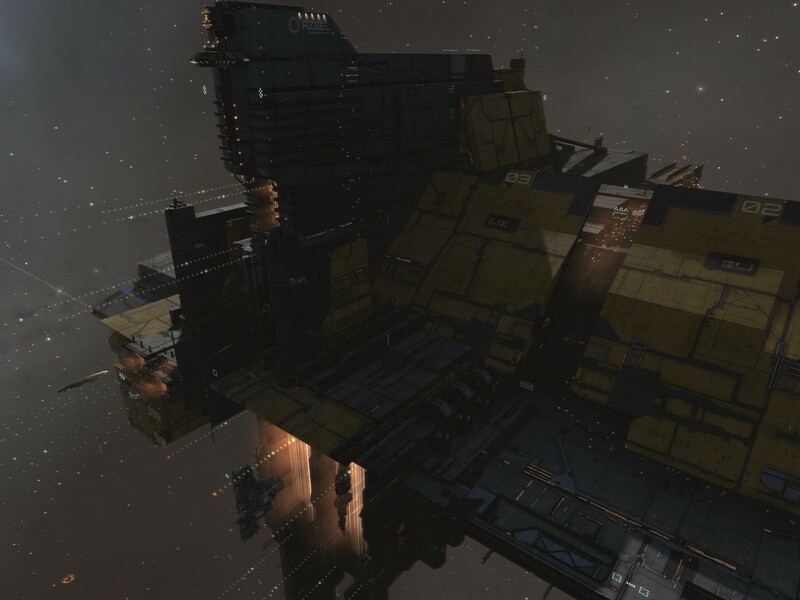 As the focal point of corporation industrial activity and capital construction yards, the Azbel represents a great step forward for industry in New Eden. 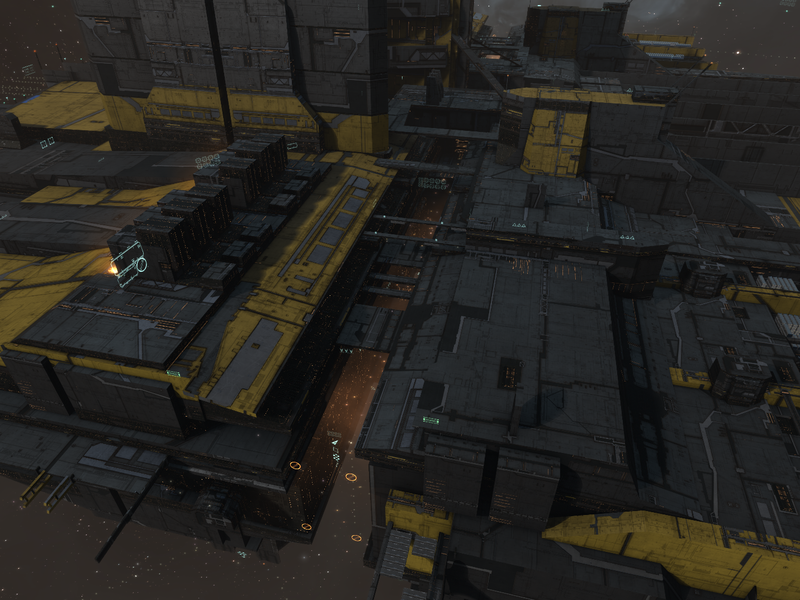 The largest of the three structures, named after one of the co-creators of the first Caldari jump drive, the Sotiyo-Urbaata Drive, the Sotiyo serves as a large scale manufacturing and assembly site for everything from sub capital ships and modules up to supercapital class hulls. The Sotiyo will be able to accept capital class ships into its docking bays, and will be able to install services for the production of the largest supercapital ships in New Eden. Thanks to the generalization benefits of larger structure engineering rigs, one Sotiyo will be able to receive bonuses to all forms of manufacturing at once if desired, providing great convenience for its hard-working residents. At current market prices this represents a build cost of approximately 30 billion ISK (price is subject to capsuleer market fluctuations). 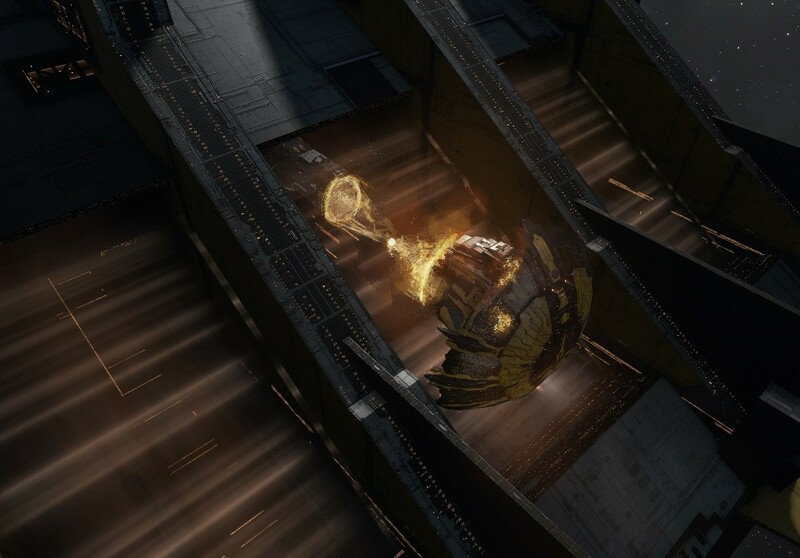 The Sotiyo is a behemoth of a manufacturing facility, able to produce everything a corporation, alliance, or indeed a coalition needs. From the ground up it is designed to support manufacturing on the largest scale and has the ability to act as a fleet shipyard, churning out capital and supercapital class vessels and serving as a vital node in an alliance or coalition’s sphere of industrial operations. As mentioned earlier in the blog, asset safety works exactly the same in Engineering Complexes as it does in Citadels. In both types of structures this expansion will bring the first interaction between asset safety and industry jobs. When a structure triggers asset safety (usually by blowing up) while a manufacturing or science job is in progress, any BPOs involved in the job will be sent to asset safety. The other materials that were a part of the job (including BPCs), as well as any completed but undelivered job outputs, will have a chance to drop into the structure wreck just like structure modules. Any delivered job outputs will be in the normal hangar locations and will enter asset safety as usual. As we continue to add more Upwell structures and more functionality to existing structures we are receiving understandable questions about the long term plan for phasing out legacy starbases and outposts. We are still committed to replacing starbases and outposts with more effective and user-friendly Upwell structures over the long term, but we are not rushing this transition. We want to ensure that the new structures replace all the important functionality from older structures and that we can fully polish the user experience of these structures before phasing out any existing legacy structures. We are not removing any legacy structures in Ascension, nor are we removing any bonuses from these legacy structures. Your starbases and outposts will still have the same industry bonuses and capabilities for the medium-term. We know that once we complete the task of polishing these new structures and creating new tools for players to build their empires, the community will continue the transition to the new structures on their own. This process will be a slow and careful one because we want to make sure we get it right. Our current plan is that as of our December release (the first regular monthly release after the expansion) it will no longer be possible to deploy new outposts or outpost upgrades. Existing outposts will continue to work perfectly and will not have any of their bonuses removed at this time. 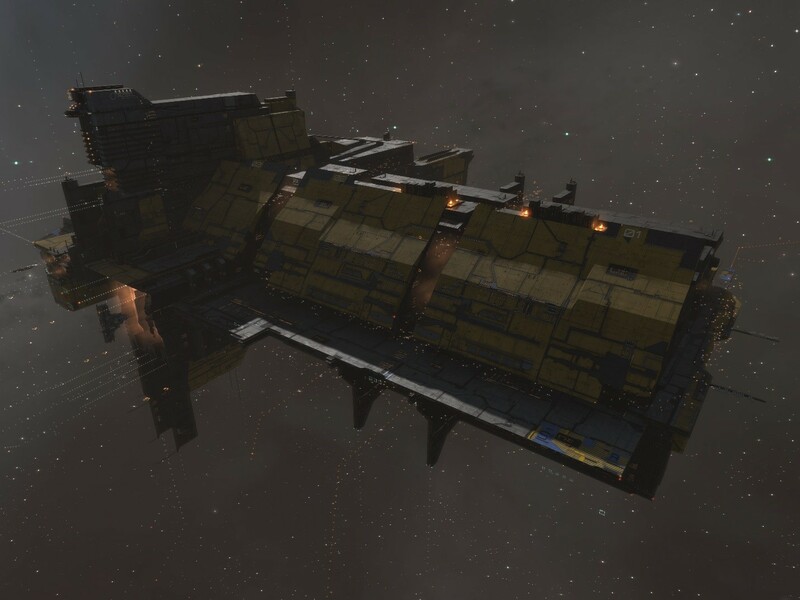 We believe that we have now come far enough in the new structure plan to be able to phase out the new outpost deployment process as a first step towards the eventual transition to Upwell structures. Anyone who wishes to deploy an outpost or outpost upgrade should make sure to do so before December. It's possible that this outpost plan could change depending on how the initial Engineering Complex release works out, but if it does change we’ll keep you informed. We’ll continue keeping you all up to date as we get closer to being ready for more transition steps over the long term. These spreadsheets are now also available on our google drive at this link. We know that starting in with the release of EVE Online: Ascension this November, corporations, alliances and coalitions from across New Eden will put these structures to amazing use. 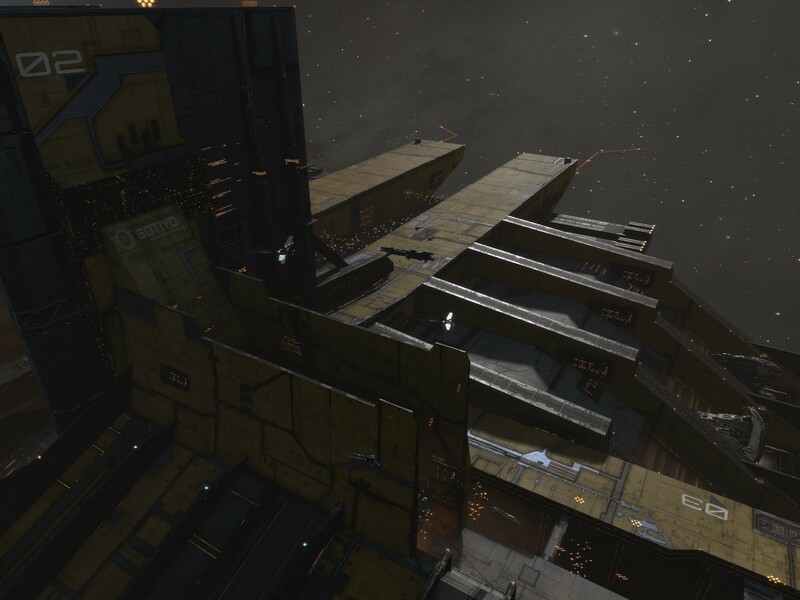 These new Engineering Complexes can serve them well as a fundamental part of their industrial operations, alongside the administrative and logistical functions that citadels already provide. We’d love to hear your feedback on Engineering Complexes, so feel free to discuss what’s coming in the comments thread for this Dev Blog. We’ll be reading all the comments there and making adjustments thanks to your insights.